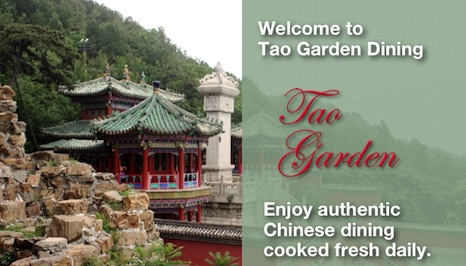 Tao Garden is a wonderful restaurant to eat fine Hong Kong style food. Voted best Chinese food 2003 by the New Times and best Chinese restaurant by the Phoenix Magazine 2005. Our specialty is fine Cantonese and Mandarin cuisine. Specializing in live seafood, we serve everything from crab, oysters to tilapia. We have a large menu with lots of items to choose from. 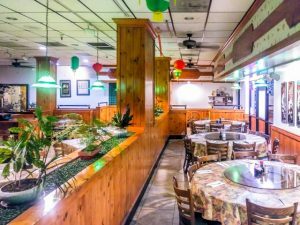 One of the best places to get great Chinese foods. I always enjoy their claypot soups, fresh Chinese vegetables. Great rice noodles and other dishes. I love their lunch specials – it’s a ridiculously good deal for the amount of food/variety you get for your buck. Prices range from $4-$6. My favorite is the Mongolian beef. I eat here 3 times a week and never get tired of it. You know the food is good when Chinese people eat there. We accept Visa and MasterCard • Sorry, no checks please. Site created by Cactus View Design • Printing by PrinTeam Printing. Tao Garden Dining, © 2019.